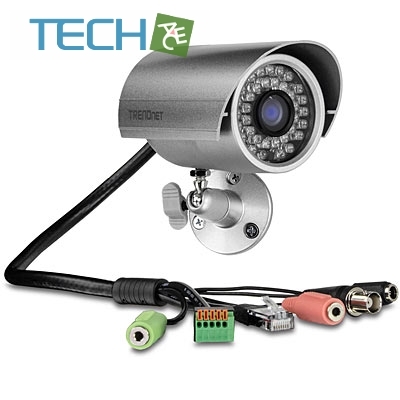 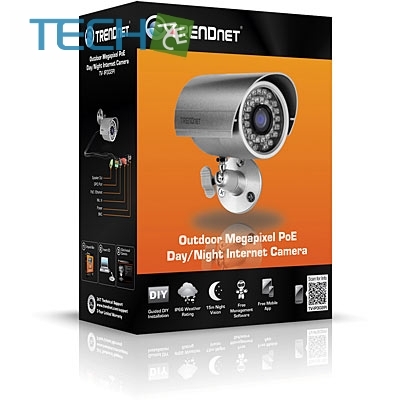 The Outdoor Megapixel PoE Day/Night Internet Camera, model TV-IP302PI, provides powerful megapixel night vision in complete darkness for up to 15 meters (50 feet). 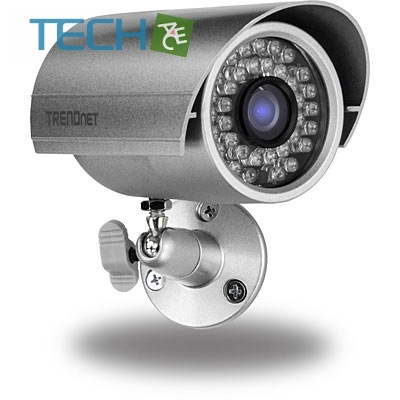 This camera is outdoor ready with an IP66 weather rated housing. 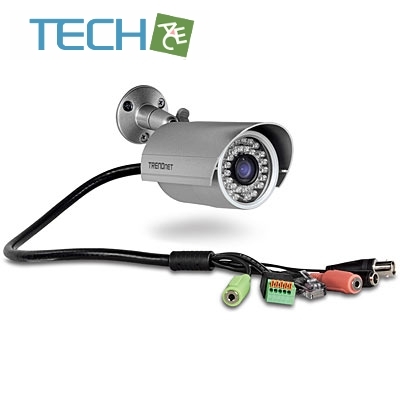 The compact aluminum enclosure, a mere 4 inches long (10 cm), comes with an adjustable sun visor.